Fill your game with a number of original characters with this big set of 4-directional sprites, perfect for tactic, strategy and roguelike games. 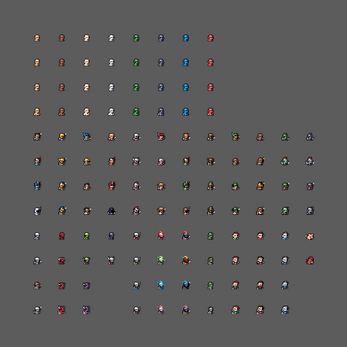 Over 120 characters, 1100+ sprites in total. will there be any action animations for this ? None are planned at this point in time. There are or will be battle animations? I would buy this pack if it had battle animations. Regards. They are considered but they will not be released soon, that's for sure. 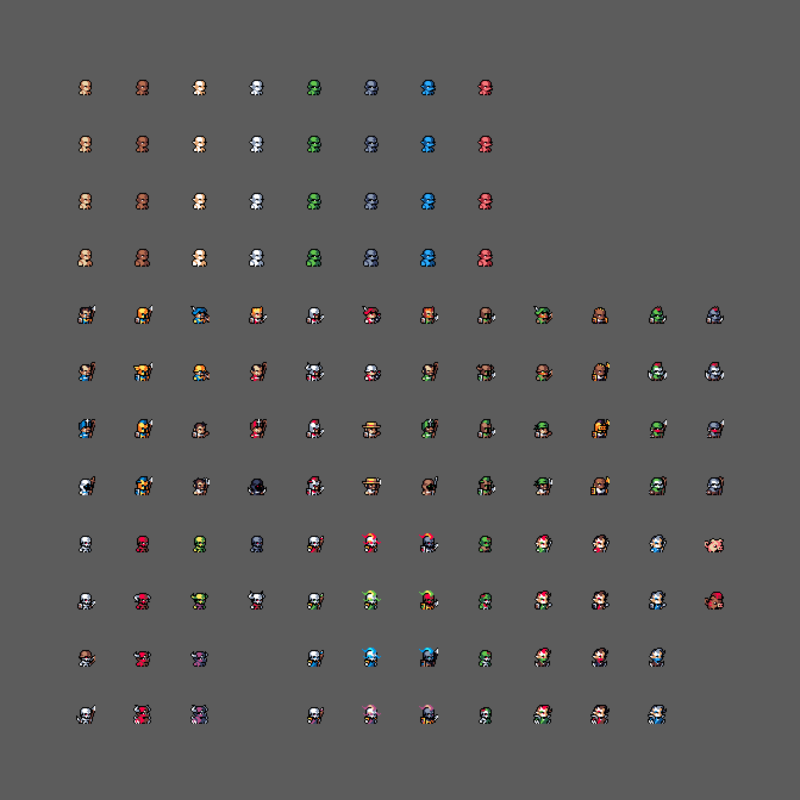 Hi, congrats, it's a great sprite pack! Please can you tell me it the sprites has attack animation or just walk animation? May I use it in commercial project? What is the license? Yes, you can use It in a commercial project. I don't think there's a specific license in this pack right now, there was no need so far. You can contact me via e-mail to clarify any details ( kac.wozniak[at]gmail.com ).